If you run a business, you probably worry about your cybersecurity. Hackers can have a huge and negative effect on your company that can impact your profitability and the trust your customers place in you. High-profile data breaches of massive companies demonstrate the negative impact that a cybersecurity breach can have on your firm. 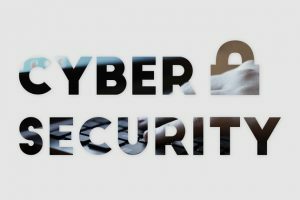 No matter what size of company you run, taking a moment to learn and follow some best practices that relate to cybersecurity can enhance your company. Your employees are the first line of defense against cyber attacks and are also any business’s biggest weak point. Train your employees to use strong passwords, identify phishing attacks, and how to safely handle sensitive data. A firewall prevents outsiders from gaining access to a particular network, or data shared across that network. Ensure that all web-connected devices (including phones, laptops, printers, etc) are connecting to a network that’s protected by a strong firewall. If your business allows employees to work from home, or if employees need to access company data while they’re traveling, a Virtual Private Network (VPN) enables them to do so safely without compromising access to your data. A VPN simulates the network environment at your place of business, but allows employees to connect remotely. Spam emails, phishing attacks, and DoS (Denial of Service) attacks are often formatted to look like regular business correspondence. However, they can have a devastating impact on your business’s cybersecurity. Use a filter that provides email and spam protection to prevent the likelihood of a hacker gaining access to your business’s data through email. Hackers are always shifting the way in which they target companies, which is why it’s important for businesses to stay one step ahead. If it’s been a while since you set up your network, SJP Network Solutions can provide you with a comprehensive audit of your current cybersecurity situation, and create and implement solid solutions that will improve your company’s cybersecurity. Don’t hesitate – contact SJP Network Solutions today for a network consultation.